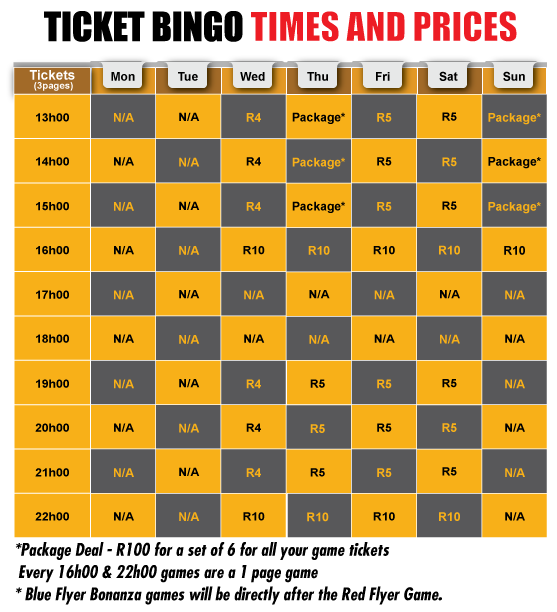 Please familiarise yourself with our table below of our Times and Prices. It’s the best way to avoid disappointment and long waits. Goldrush Bingo can change or update this table at any given notice so please make sure to watch this space frequently.